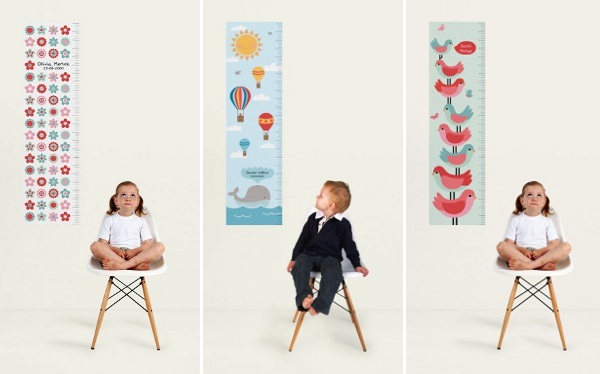 Just launched on the Mooo website are these funky wall decal height charts. Plot their growth in the cutest way imaginable – you don’t need to sacrifice decor for functionality! The new Mooo height charts are personalised with your child’s name and can be installed accurately in minutes using the removable rulers supplied in the pack. They’re made from finely-woven fabric and can be positioned and repositioned. When your child has outgrown it, attach the chart to its backing paper and pop into its storage tube for safekeeping. There are seven delicious designs to choose from and several colours for each design so you can match the existing decor in the room. Get one for every child in the family! These make awesome Christmas gifts (no it’s not too early to start buying) as well as unexpectedly original birthday presents. I am delighting in seeing butterflies and birdies in blues and reds as well as pinks. So often girls and boys are pigeonholed into set colours and designs but now a girl who loves blue and green can have birdies and a boy who loves butterflies can have them without pink. One of my sons would be likely to pick the pink monkeys. Yep, there’s something for every kind of kid at Mooo! 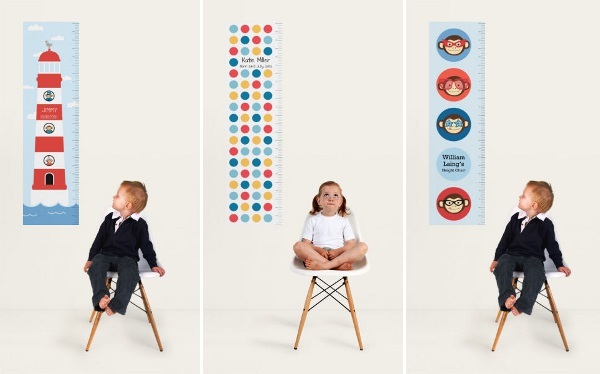 Jump over to Mooo to tailor a height chart to suit your little ones – they start at $39.95 and last your kid until 170 cm. Hey, that’s my height!